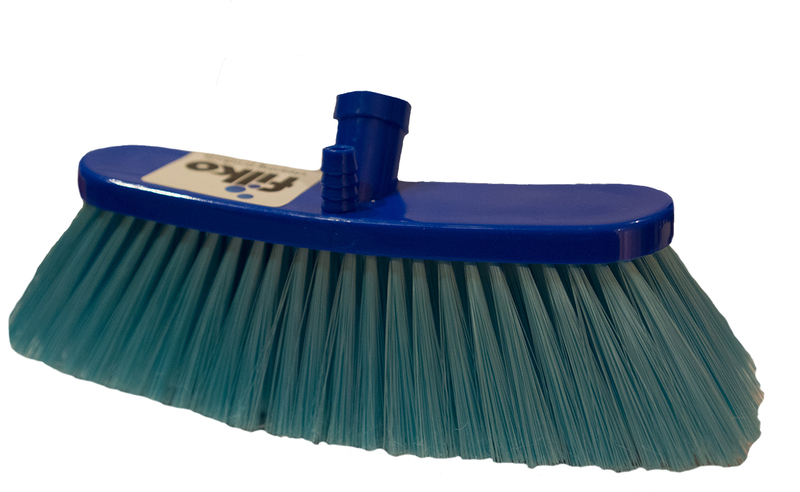 Curved frame gives the broom soft fibres a splayed form allowing access into tight corners. The frame is small for easy storage and can fit onto the universal extendable aluminium handle. 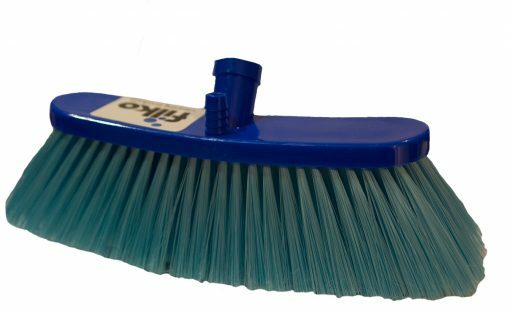 This multi-purpose brush can be used to sweep inside or out. A spout in the frame can be used to attach a hose when used as a water flow brush or when hoses are not available the brush can be used as a dip wash brush from our rectangular collapsible bucket.